Lightweight yet powerful, this 8 HP post hole digger by Little Beaver will allow you to dig holes quickly and cleanly. Features a Honda GX-240 engine with 10-inch pneumatic tires. Kickback is eliminated with torque-free digging. Auger not included. This 8 horse power post hole digger by Little Beaver is lightweight, powerful and reliable. 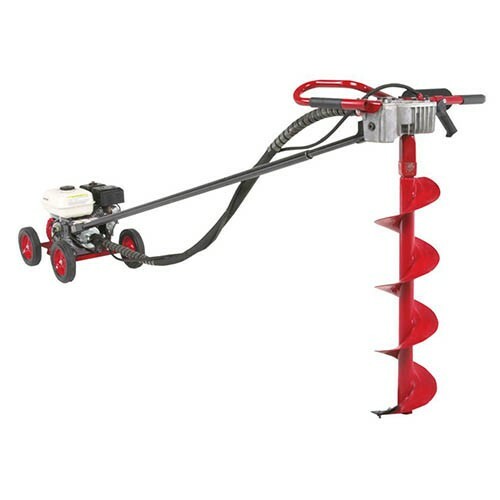 Its high-speed auger rotation ability digs holes quickly and cleanly. Kickback is eliminated with torque-free digging. Post hole digger features a high horse power Honda GX-240 engine with 10-inch pneumatic tires. Auger not included.